AceMoney Lite makes organizing personal finances and home budget a breeze. 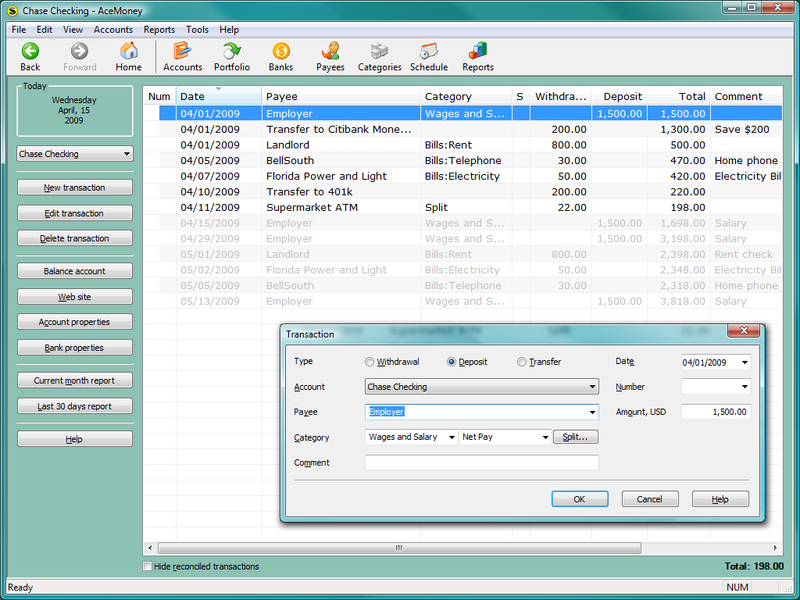 All features required by home or even small-business accountants. It makes managing multiple accounts a breeze. You can manage your budgets, track multi-currency finances, analyze your spending habits, make transfers between accounts, and do on-line banking. You can start instantly without any prior accounting experience! AceMoney Lite: AceMoney Lite, home budget, free personal finance software, is the best Microsoft Money or Quicken alternative.